How Close is Pennsylvania – Really? I’ve been pretty vocal about people who are just absolutely convinced that the GOP candidates for Senate & President will win Pennsylvania. Usually this is because everyone they know – who just happens to lean right – is going to vote for candidates on the right. Shocking. It’s a matter of selection bias, and it isn’t based in reality. However, there are some things I’m seeing that leave me wondering if the polls are actually showing a much wider gap than really exists. One is a graphic Mitt recently posted on Facebook that noted his campaign has made 5 times as many phone calls and knocked on 45 times more doors by this time in the campaign than McCain’s team had in 2008. Consider that Mitt’s got that much higher turnout of grassroots energy and he hasn’t been spending the money here like McCain did. McCain was spending like Pennsylvania was a seriously competitive state. Both campaigns have largely been ignoring Pennsylvania. Though Mitt did test the waters a bit with a big rally in one of the Philly suburbs recently. But then I also see tweets like this from the left. It seems odd to me that the Obama campaign would spend the money to bring in New Yorkers for a state that they are so confident they’ll win – and win big. One thing that these little signs could reflect is that the polls have poor turnout models. Yes, truly more people may like Obama over Romney in Pennsylvania. But, the Obama voters may not feel very motivated at all to vote. And clearly Romney’s campaign has more energy than expected. This year may be the year of quiet campaigning in Pennsylvania. We’re seeing far fewer yard signs out this year than any other year – even non-presidential races. In fact, where there were previously dozens, now there are none. Yet, we still hear from most people on the right that they are more motivated to vote than they were before. 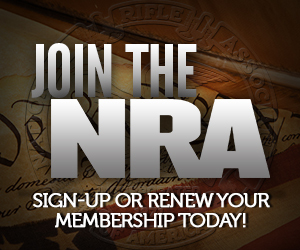 We also have more gun owners interested in helping campaigns than we have had in the past. It’s all kinda weird. I think the final numbers have a potential to be far more interesting than the polls show. I won’t go so far as to say that Mitt will win Pennsylvania, but it could be a closer race than people expected based off polling. Romney takes PA and wins 340 votes in Electoral College. I don’t think this is anywhere near as close as the media wants you to believe. Unlike other partisans I don’t think it’s for partisan reasons that the MSM is acting like it’s close. I think they realize that if they didn’t skew the polls, everyone would know Romney is going to clobber Obama and would stop watching election coverage. They they’d have to come up with more celebutramp videos to get viewership. I think they had a bunch of volunteers in NY and nothing to do with them, so it was better to use them in PA. Slowly campaigns are realizing that yard signs don’t vote. Study after study confirms this. Personal contact is much more effective, and all it costs is the bus and some pizza. Agree with pretty much everything else you wrote. Yeah, but New Hampshire isn’t an impossible drive from NY, and I think their polling puts that in a closer race. Having those people make phone calls into Ohio while Ohio people knock on doors is still more useful for winning a state. Or even having current New Yorkers call former New Yorkers living in Florida would seemingly be more handy. In Northampton County, I’d say I see 1 Obama yard sign for every 10 Romney signs. This is far different than 4 years ago when virtually every street had 5 Obama signs for every McCain. I’m also noticing far fewer bumper stickers than ever. That’s for both candidates. But again, 4 years ago, I couldn’t drive through any parking lot without being assaulted by “Hope and Change”. Like many (most?) gun owners, I’m NOT excited about Romney / Ryan. But I’ll hold my nose and pull the “R” lever because Supreme Court. Wow. Thanks for the report from an area I haven’t heard much about. Sebastian has been taking slightly different drives to work in order to drive through more Chester County neighborhoods and has seen the same kind of difference in signs. He wasn’t working at the same place in 2008, so it’s hard to compare. I guess what’s surprising is that there’s a sign advantage like that since signs are something that are quick to get cut when a state isn’t a high priority. That means people cared enough to purchase their own yard sign online or they cared enough to go get the reduced number that are likely available in the state compared to 2008. I’ve said the same thing about Berks and Lebanon counties. 2008, Obama signs and bumper stickers everywhere. In 2008 I would have told you that PA was 100% safe for Obama. This cycle, it’s Romney signs and stickers everywhere. Then, when I look at donations on opensecrets, people who opened their pockets for BHO in 2008 are not donating this year while people are opening their wallets for the RNC and Romney. I also know a lot of people who were proud BHO supporters in 2008 who admit their mistake and are vocally pro Romney this time around. I was very surprised the last time around to see Obama signs all over the place up in coal cracker territory – an area where you see nothing but realtree camo covering everyone and everything in sight, and would expect these “rednecks” to be vocal supporters of the Republican party. I have family up there, and they say that SSDI, Worker’s comp, etc, is a way of life up there, and there are no careers, only jobs. In the city and surrounding suburbs, all the cool kids LOUDLY support Democrats. I actually had to quit Facebook because I’m so sick of all the political postings from my friends list. I think Obama will handily win PA. The only thing campaigning in PA is good for is to make your opponents waste resources where they aren’t needed. That’s odd. When you look at the 2008 PA county results, 3/4 of the coal and gas counties were carried McCain. It’s going to be interesting to see what the Gary Johnson monkey wrench will do. There is no way for the polls to filter for those who are telling them they will vote for Obama because they are afraid to say otherwise – but who either will stay home on election day, or vote for Romney. And never admit it to a soul. I have yet to find one person around here that will openly admit voting for Obummer in 2008, even though according to vote tallies (if they are true tallies anyway) many of my neighbors did vote for him. This is what the volunteers are for, to epoch base with the polled supporters and make sure they’re going to vote. Canvassing isn’t a tactic I’d expect to be aimed at the undecided voter, who is apt to resent the intrusion, but at the wavering supporter, no? I’d bet both sides have internal models showing that the “undecided” vote is smaller than the “decided but disgusted” vote. I went to high school in Pottstown. From what I recall, Pennsylvanians don’t have much problem playing their voting preferences pretty close to the vest. I believe it may be closer than 4 years ago, but Obama will win PA. Its is not really a swing state(Reagan was the last republican presidential candidate to win the state) it is left-leaning. Romney has a much better shot in Wisconsin and New Hampshire. I agree with you on the history of voting pointing the PA not being a swing state at all. However, I think what tempts people is the knowledge that the GOP does regularly win statewide offices. It’s just kind of tough for people to wrap their heads around the idea that we could have a GOP-controlled state legislature, a GOP Governor, a GOP Attorney General, mostly GOP Congressmen, and yet we’re supposedly a solid blue state. I admit that even I wonder why that is. California, New York and Massachusetts have all elected Republicans to statewide office, yet they are considered to be solidly blue states. I think the key thing is that the Republicans they do elect are the more moderate Republicans. I don’t follow Pennsylvania politics, but is Pennsylvania electing moderates or Tea Party Republicans to statewide office? That is true about those states, but it’s a rare thing in some of those states. Here, it regularly switches between Dems & GOP. Having lived in MA under a couple of those statewide-elected Republicans, I would say that the ones elected here are more conservative. They aren’t the absolute most conservative, but the are more conservative than in those blue states. Bush won PA in 1988. So it was Bush being the last Republican to carry PA.
I’m hoping that what is happening is the old “Silent Majority” is just going to Vote and go home. Remember, that group of Voters don’t Campaign, go to rallies, put up signs, etc. Oh, we also have to take into account Early Voting/Absentee Ballots. It’s a LOT more common than it has ever been. In Fact, I dropped off the Wife’s and mine at the Board of Elections this past Friday. There was a line outside the door of about 15-20 people waiting there turn to go up to the Counter and Vote. And there was a Large “In Basket” full of Absentee Ballots that I added to. And yes, the Anointed One did NOT get our Votes. But it was a little tough holding our noses at the Kitchen Table Thursday Night! We got an Obama door-knock the other night. Wife answered it. The knocker was lucky–my wife just gave them a “are you kidding me?” response when they asked why we weren’t voting for Obama. I would have given an hour-long lecture if I’d answered it. I doubt they’re getting much different from many in my neighborhood.